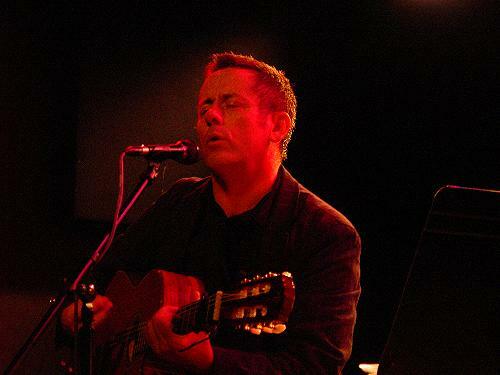 The brother of legendary singer Christy Moore, Luka Bloom has become famous through his simple songs, well-chosen chords, wavy rhythms and sparkling guitar sound. Luka spoke to Beth and Jules from his home in Ireland before leaving for an American tour that will bring him to Morristown on June 24th. 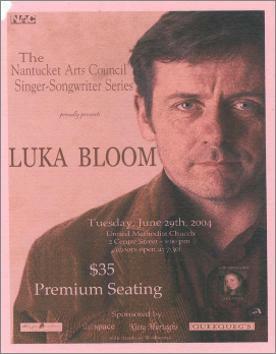 Luka Bloom has shouted at us a few times in the past. Not us, personally, we don't think. We were just part of the crowd. 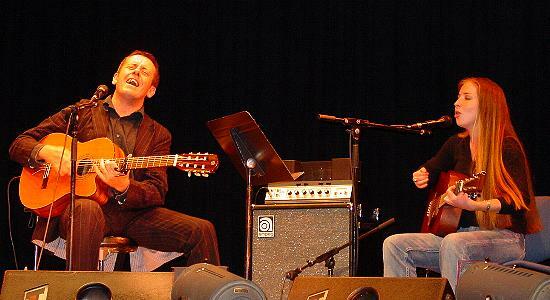 (Although, come to think of it, we've written some not entirely favorable words about Bloom, younger brother of Irish folk singer Christy Moore.) But the Irish singer-guitarist isn't pounding his guitar or shouting at us, or you, anymore. 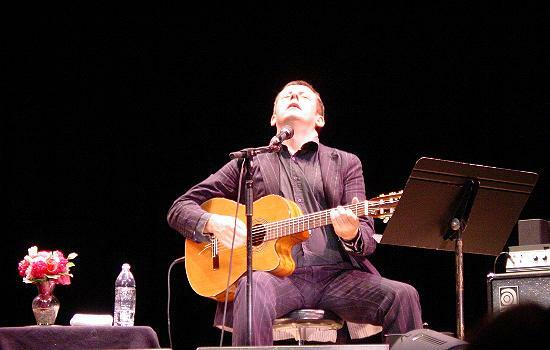 Bloom was struck by tendinitis last year, which restricted him to playing gently on his Spanish guitar. He also had a throat operation in the not-so-distant past. So Bloom downshifted his voice and is now singing in a whispery style that is making critics say things like "newfound tranquillity". This is evident on his latest disc, Before Sleep Comes - Bloom calls it "nine songs for insomniacs" - and it should be the case tonight (and tomorrow night, too) at McGann's. Tickets are $25. 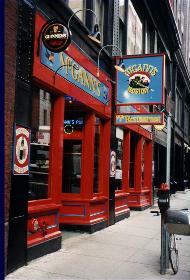 Doors at 7:30; music around 9; 197 Portland St., 617-227-4059. 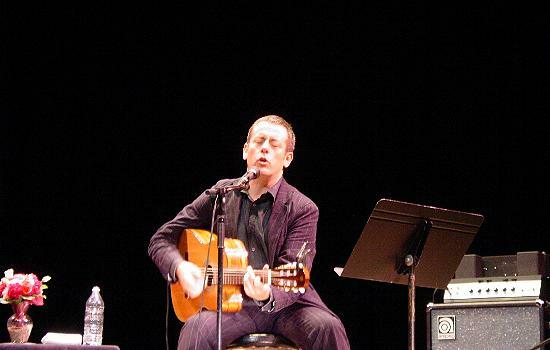 LIVE AT NOON: Luka Bloom returns to Live at Noon today. The man came onstage in a tailored suit, cutting quite a dashing figure compared to the floral shirts and biking shorts of the past, and set about the task of introducing the audience to the cadre of new songs starting off with Innocence and First Light Of Spring both fluid and gentle, and telling of the newfound sense of awareness that he has found in his life, surroundings and his music. He continued on with the vibrantly Middle Eastern flavored Gypsy Music giving glimpses into the places that he has traveled, or wishes to go to, much in the same vein as Perfect Groove from the Between the Mountain and the Moon album, telling tales of the sharing of his music and the vibes of the people who come out to hear it. Very fitting for a setting such as a New York club, where so many folks have been following his music for so long, and vicariously going on his travels along with him. The evening rolled along with a number of brilliant new songs, showcasing his nimble picking style, which has often been swallowed up in the voluminous guitar sound for which he is known, and and included a tribute to his ladylove in Salvador and a fabulous group of new friends in Summer and Friends, one that I'm sure we can all share in, just entering into the great season of shared experiences at the beach or in the mountains, basking in the summer sun and the congregation of great people. Probably the most touching song of the evening was Thank You For Bringing Me Here, a beautiful ballad inspired by a walk taken by a father and daughter along the Burren coastline, and her gratitude to her father for showing her the beautiful things in life, and the double entendre of the simple gratitude we all feel for our creation. As the evening progressed, he did trot out crowd favorites including Sunny Sailor Boy, Love is a Place I Dream Of, and the rarely performed City of Chicago which most people know from the rendition by Christy Moore, rather than by Luka who actually wrote it. The highpoint of the evening came with a true sean nos rendition of Caoineadh Na Dtrí Mhuire which translates as 'The Crying of the Three Marys' an achingly beautiful song, as only sean nos can be, telling the story of Mary weeping at the base of the cross. This is the first time that I have heard him sing in Irish and a full sean nos song and he does an amazing job. The strength of his voice is greater than I have ever heard it before and the emotion of the song grows as the story wends its way through the grief of Mary which hung palpably in the air as he sang. Here's hoping that this will find its way onto his new album and become a must for future shows! 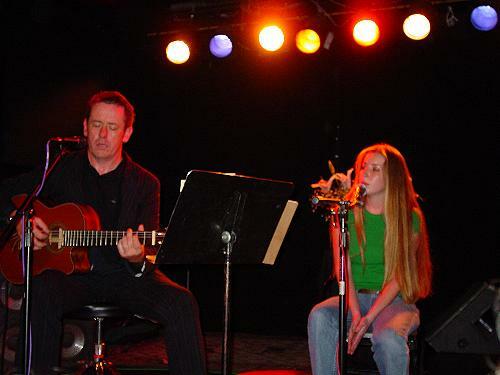 Alyanya, the wonderful young Dublin singer/songwriter who is opening for him on this tour, joined him for an encore of her song Arise and his Love is a Place I Dream of. For those waiting for a glimpse of the rowdier and more robust Luka tunes, he didn't disappoint with a forcefully funky Bogman. Rounding the evening to a close, he sent everyone off into the sultry New York night with a warm and soulful cup of Camomile, filling everyone to the brim with relaxing and soothing thoughts to take with them on their way. Having made many jokes during the evening about the coming of age that the writing of these songs has been for him, it was definitely clear that he has made great strides down a new path on the journey of his career, and it's one that I'm certain Luka fans and newcomers alike will enjoy rambling down as well. 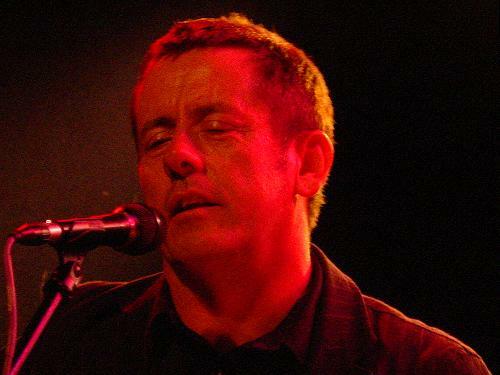 Luka Bloom's new album might just put you to sleep - and that possibility doesn't bother the Irish songwriter one bit. This doesn't mean, however, that the new CD, 'Before Sleep Comes', is boring. It simply means that Bloom has fashioned a new chapter in his career, and possibly created a whole new genre of music in the process: The adult-oriented lullaby. He even subtitled the album "Nine Soft Songs for Insomniacs". 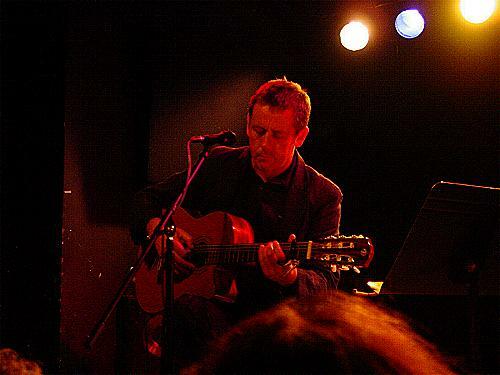 Bloom (born Barry Moore, and the brother of Irish singer Christy Moore) will bring his quieter new act to the Iron Horse, Sunday at 7 p.m.
"People needn't worry, I'm not going to do a show where people fall asleep," he said with a laugh during an interview from his native Ireland. "But people may be slightly shocked. I always had a big guitar sound and thunderous performance, but now I've written an entirely new program." This stylistic shift came from Bloom's battle with an old nemesis, tendonitis. His condition grew so bad that Bloom could barely play guitar at all. "This time last year the tendonitis was pretty bad," he said. 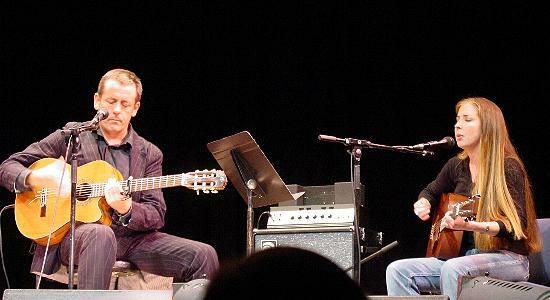 "I could only gently pick my Spanish guitar so I found myself playing these soft songs and it just evolved." 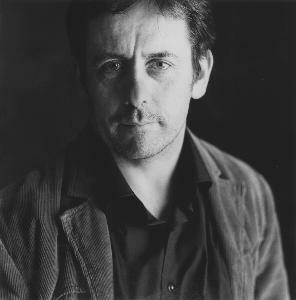 Ironically, it was tendonitis that forced Bloom to change his style early in his career from a finger-picking style to the rapid-fire and dynamic strumming that brought him to the forefront of contemporary Irish music. 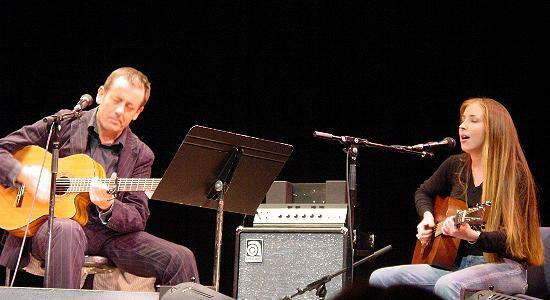 With the release of his first solo CD, 'Riverside' in 1990, Bloom forever changed the folky image that one person with an acoustic guitar usually conjures. Gentle ballads were offset with lively tunes that melded rock n roll's spirit with Celtic acoustic music. He later even incorporated hip-hop into the mix, all on acoustic guitar. "My whole life is a constant adaptation and I'm not entirely ungrateful for that," he said in typical Irish understatement. "It's easy to fall into feeling sorry for yourself or feeling restricted, so every time I encounter a problem, I try to turn it into an opportunity." So as Bloom found himself mesmerized by this new style, he decided to record some of the songs that were given birth through it. He also went to great lengths to make sure the recorded performance matched the mood of the songs. "I deliberately recorded at two in the morning so my voice would be tired," he said. "It's quite raw and much softer than anything I've done." 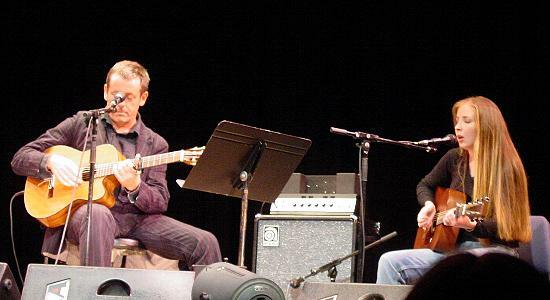 Bloom feels the music can be either engaged consciously, as in a concert setting, or used soporifically. Bloom avoided the natural tendency musicians have to introduce dynamics into their music. But he made one hard-line distinction: "It's music you can listen to before you go to sleep, but it's not like that new age stuff - that's terrible," he said. As far as his new tour, Bloom said he will be performing one or two older songs, but will mostly concentrate on the new material. 'Judy' and 'Rudy' - his custom-made guitars that gave him his huge sound - are "taking a break", he said. "I'm taking the emphasis off the big guitar sound and putting it more on the way I sing," he said. "I'm singing in a new, relaxed style and I must confess I'm really enjoying it." Given Bloom's rich and lilting voice, this should be welcomed by fans, even if they miss some older favorites. And he promises you won't fall asleep. 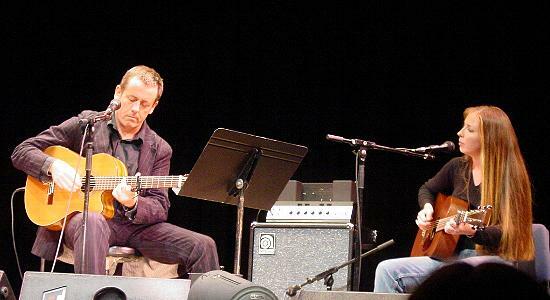 talented musicians, Luka Bloom with special guest Alyanya. Tuesday, June 29th, 2004 - 8 p.m. at the United Methodist Church, 2 Centre St.
Kitty Murtagh's and The Chamber of Commerce. 508-325-8588.